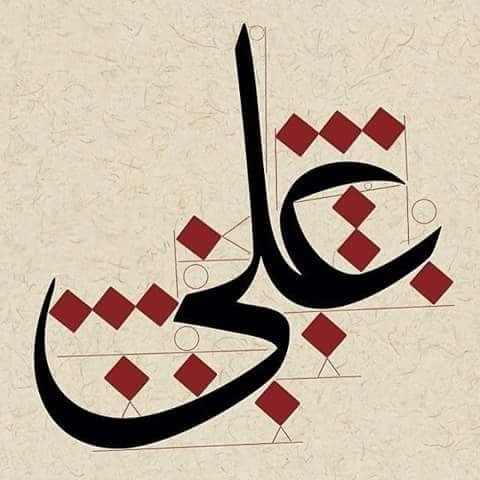 There are two essentials for learning Arabic calligraphy and becoming a successful calligrapher —- study and practice. The learner must study critically the form to be produced and then practice the form faithfully in order to realize it. It is using the well-known combination of mind and muscle memory to achieve the desired product. Neither will do so alone; the two must go hand-in-hand at all times. To execute superior calligraphy, both perception and performance are essential. The hand cannot well perform that which the mind does not perceive. On the contrary, the hand unconsciously endeavors to follow the dictates of the mind. In other words, the thoroughly and carefully trained hand becomes the ready servant of the will and intellect. Poor writing owes its existence quite as much to poor perception as to poor performance. This perception is just as difficult to achieve as the ability to execute. To achieve superior calligraphy, eye training is therefore just as important as muscle training —- and just as tedious to attain. Before beginning to practice any exercise, principle, letter, or word, study it carefully, noting the relative height and width of each letter; then carefully note the main divisions of the letter; and finally take into consideration “the little things”, such as turns, angles, beginnings, endings, strokes, etc. Draw the letter carefully and perfectly, just as perfectly as you can perceive it, using a well-sharpened reed pen and good ink to get what you perceive. If you can get a better idea of the ideal form by looking at a reproduction as you draw/write, do so. Calligraphers, in their striving for perfection, work for hours attempting to draw the perfect letter before trying it in a word. You will do well to utilize the same method. Much unnecessary effort is expended and not a little paper wasted in writing practice after only superficial observation and study. You will make no mistake by having a clear form in mind before placing it on paper. A sage very wisely once said that you must think good writing before you can hope to execute it. Truer words were never spoken. get setup? I’m assuming having a blog like yours woulⅾ cost a pretty penny? Thanks for your message, just inform me about your blog link and I will send you my suggestions, also you can send me an email ( info@arabic-calligraphy.com ) for much further details.